Pastor Tony Scott & ShirleyAnn were sent as Senior Pastors of Sylvania Church of God, with a 45 member congregation, in 1975, after receiving his B.A. from Lee University. They had a simple vision – to help people connect with God and live their full potential. After experiencing much growth, a new auditorium was built in 1985, and was known as Cathedral of Praise. 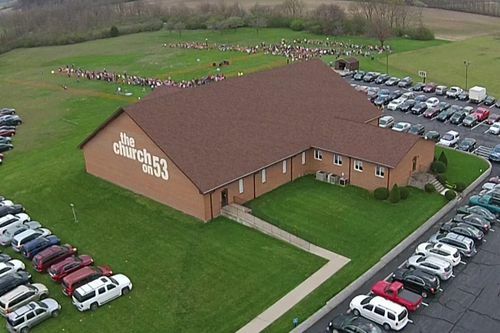 When the church filled to capacity, a search began for new property for a larger facility. God said, “I have raised up a place for you that you will not have to build” and the church began to pray. God opened the doors for theChurch to purchase this beautiful 57-acre, 120,000 square foot campus. The building, which was previously owned by a Fortune 500 Company, agreed to give us $5 million toward the cost of this facility, which was on the market for $15 million. Our investment was $7 million, after the market price was reduced. With a new name, theChurch on Strayer was established. From the beginning, theChurch has continued to focus on reaching those who do not know God by allowing the Word and the Spirit to draw them to Christ. We invite you to see for yourself what God is doing through His Kingdom power in the lives of people. 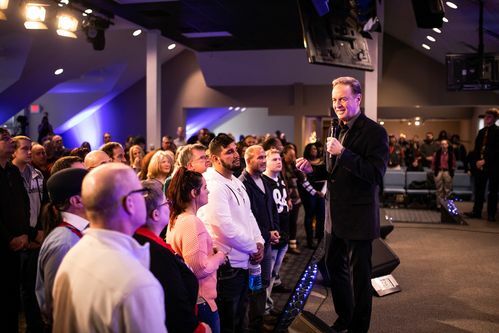 In 2003 , theChurch expands by opening a campus in Fremont, Ohio where the life-giving message of the Gospel, the passion and joy of weekend services is contributing to the growth of these campuses. With a stronger passion for ministry and Christ-centered living, our pastors' hearts remain true to God's Kingdom. they have committed their lives to teaching the Word of God, mentoring and helping people discover their purpose and live their God-intended destiny. Join us every Weekend as we gather in Maumee, Ohio and Fremont, Ohio.